…for distinguished bravery on December, 1890, while serving with Company A, 7th U.S. Cavalry, during the Sioux Campaign. Adam Neder was a twenty-five-year-old private in Captain Moylan’s A Troop and four years into his first enlistment when he found himself positioned as a sentinel around the Indian camp along the Wounded Knee Creek. He formed part of Lieutenant Garlington’s party that took up position in the dry ravine southwest of the camp to block the Lakota Sioux from escape once they broke through B and K Troops. One account states that Neder was wounded while fighting shoulder to shoulder with his platoon leader. Another indicates that despite being wounded himself, Neder assisted in carrying the wounded Lieutenant Garlington from the field. 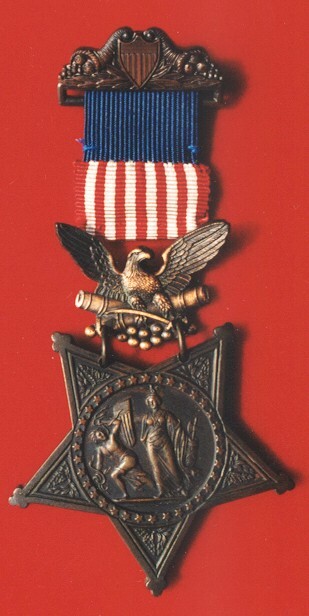 (Click to enlarge) Captain Moylan recommended Private Neder for the Medal of Honor 28 March 1891. The following March Captain Moylan recommended Neder, who had subsequent to the battle been promoted to the rank of corporal, for the Medal of Honor writing, “Corporal Neder was wounded while fighting gallantly on the skirmish line.” Despite clearly being recommended for actions specifically at Wounded Knee, Neder’s citation states that his award was for the Sioux campaign, one of two soldiers in the regiment decorated for conduct throughout the campaign. He was awarded the medal on 25 April 1891. 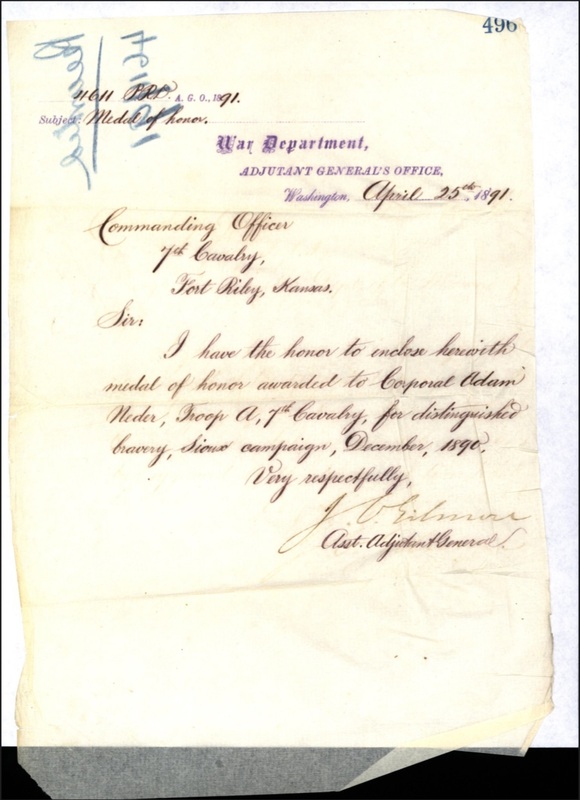 (Click to enlarge) The War Department mailed Corporal Neder’s medal to the regimental commander on 25 April 1891. As with all of the Medal of Honor recipients from that winter campaign, Neder also received honorable mention from the Commanding General of the Army, Major General John M. Schofield, in December 1891 in General Order No. 100. December 29, 1890. Sergeant (then Private) Adam Neder, Troop A, 7th Cavalry: For bravery in action against hostile Sioux Indians, at Wounded Knee Creek, South Dakota, where he was wounded. Colonel Forsyth in a letter dated March 7, 1893, in which he recommended Garlington for a Medal of Honor, provided some detail of Neder’s actions at the Ravine. He [Lieutenant Garlington] was finally led away, very weak from loss of blood. Sergt. Adam Neder, Troop A, Seventh Cavalry, who, in this same list with Lieut. Hawthorne, is granted a medal of honor, was a member of this party and was kneeling shoulder to shoulder with Capt. Garlington at the time he (Neder) was wounded. Little is known of Adam Neder’s background or family life other than what is recorded in his military records. Born in Bavaria, Germany in 1865, by the age of about twenty-one Neder was working in St. Louis, Missouri as a carpenter when he enlisted in the Army for five years in June 1886. Tall for a soldier of that era, he stood almost five feet, eleven inches, had a ruddy complexion, light hair and blue eyes. He was assigned to A Troop of the 7th Cavalry and joined them at Fort Riley, Kansas. Neder was still serving at the rank of Private four years later at Wounded Knee. Perhaps due to his actions at Pine Ridge that winter, Neder was promoted to Corporal in the subsequent months following the campaign. He held the rank of Sergeant by the following June when he reenlisted for another five years. During his second enlistment while still serving as a Sergeant in A Troop, Neder played a ceremonial role in the dedication of the Wounded Knee Memorial at Fort Riley. His participation in that ceremony was detailed in an article that appeared in The Kinsley Graphic in July 1893. The Wounded Knee Monument at Fort Riley, Kansas, was erected by the surviving members of the Seventh Cavalry and dedicated on 25 July 1893 to an audience of over 5,500 spectators. FORT RILEY, Kan., July 26.–The Wounded Knee monument of the Seventh Cavalry was dedicated here this morning in the presence of thousands…. The duty of unveiling the monument was assigned to four veteran soldiers, three of the Seventh cavalry, and one, a member of the hospital corps, formerly of the Seventh cavalry. 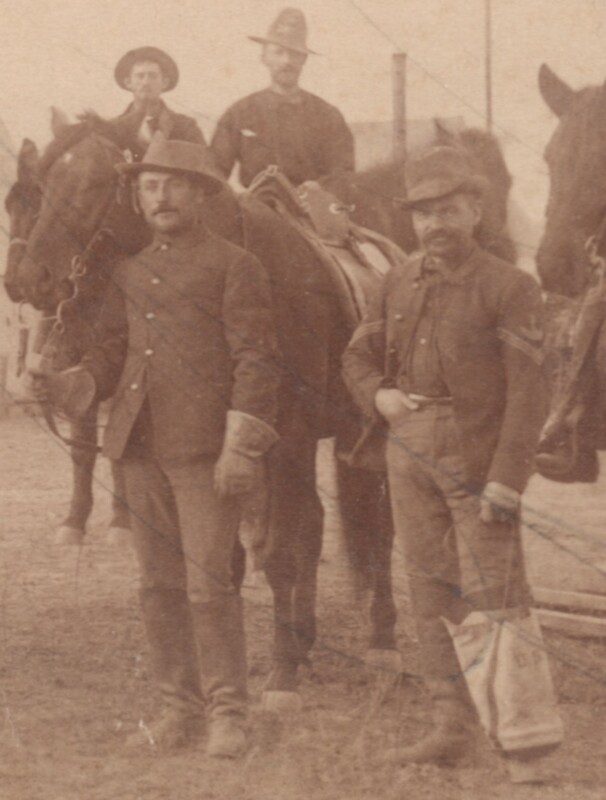 Saddler Sergeant Otto Voit, Seventh cavalry, has been in the regiment since 1866, and wears a medal of honor for gallantry in action in the battle of the Little Big Horn in 1876. Sergeant Adam Neder, Troop A, Seventh cavalry, distinguished himself at Wounded Knee and wears a medal of honor. Private Daniel McMahon, Troop I, Seventh cavalry, was wounded at Wounded Knee, and Private Frank Lohmitler, hospital corps, U. S. A., served in Capt. 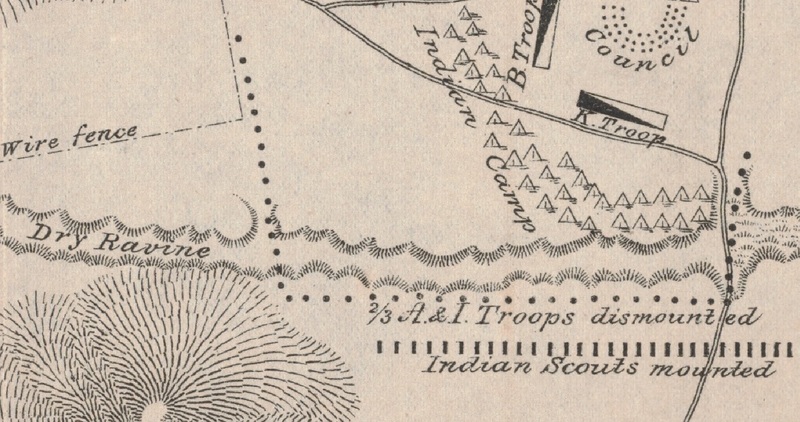 Wallace’s troop. The monument was covered with two large garrison flags and as these were drawn aside and the monument disclosed a salvo of salutes was fired by the artillery, while eight troops of cavalry, drawn about the monument in a semi-circle, presented sabers. Being a Non-commissioned officer, an Army veteran with nine years of service, and a decorated war hero, Adam Neder became a naturalized citizen of the United States in April 1895 using his discharge papers from his first enlistment as supporting documentation. Over the next year he moved with his unit to Fort Grant, Arizona where he completed his second five-year enlistment exiting the Army at the rank of sergeant with an excellent characterization of service. Neder spent two months out of the Army before showing up at Fort Riley to enlist for a three-year-term in September 1896. His break in service cost him his rank, and he was assigned as a Private initially to the 5th Artillery. He went to the Army Depot in California and was transferred to the 1st Infantry Regiment the following month where he was assigned to Captain John O’Connell’s Company E at the Presidio of San Francisco. The following year he served with his company on temporary duty at Alcatraz Island until the outbreak of war with Spain. Neder was listed in the roster of soldiers assigned to the 1st Infantry when that regiment ceremoniously marched off to war through the streets of San Francisco to awaiting steam ships. The martial affair was captured in a two-page spread in the San Francisco Call. Yesterday will long linger in the memory as the golden day when the First United States Infantry marched forth from quiet, woody places in picturesque Presidio to fight for the principles of government announced by an American President and backed by an American Congress. From the moment the soldiers strapped on their haversacks and canteens and marched to the parade grounds to the wild, inspiring music of war until they reached the ferries they were greeted with cheers from thousands of patriotic men, women and children. Private Neder saw action with the 1st Infantry in Cuba where the regiment was credited with storming the San Juan heights and participated in the capture of Santiago. Neder completed his enlistment in 1899 while serving on occupation duty on the Caribbean island at which time he took a job working for the Quartermaster Department. He served his nation in that capacity for the next decade. The details of his career were written up in an article that appeared in the Bismarck Daily Tribune when Adam Neder died on 17 September 1910 while serving in the Philippine Islands. At the Davison hospital in Manila, on September 17, occurred the death of Adam Neder, for the past nine years an employee of the quartermaster’s department in the Philippines, and with a record as a soldier in the army rarely equaled, he having been awarded a congressional medal of honor for conspicuous bravery in the Indian campaigns. He was born in Bavaria in 1865 , but came to the United States when a young man. He first entered the army as a carpenter in troop A, Seventh cavalry, and was successfully promoted until he reached the grade of sergeant. He was wounded in the right shoulder in the engagement against the Big Foot band of Sioux at Wounded Knee Creek, S. D., on December 29, 1890, and for his gallantry in that fight was awarded a medal of honor. He was then a corporal. Sergeant Neder carried a wounded officer off the battlefield under heavy fire and when he himself was severely wounded. The officer was First Lieut. Ernest A. Garlington, Seventh cavalry, now inspector general of the army with the rank of brigadier-general. Lieut. Garlington was shot through the right elbow. Capt. Geo. D. Wallace, troop K, and twenty-one enlisted men, including one hospital steward, were killed in that fight. Garlington also wears a medal of honor for this gallantry in that action. In 1893 Neder entered the Fifth artillery, and in 1896 reenlisted in Company E, First infantry, with which command he was sent to Cuba at the beginning of the Spanish war, participating in the battles at El Caney and San Juan Hill, and in the Santiago fight. In 1899 he was discharged and entered the service of the quartermaster’s department as wagon-master, and in 1900 was sent to China with the American relief expedition. His service there won the praise of his superiors, and after the withdraw all of the troops he was transferred to Manila on July 1, 1901, as forage master. Soon after he was promoted to chief coal stevedore in the army transport service, which position he occupied until his death. Following twenty-four years of service to his adopted nation, thirteen years in uniform in the cavalry and infantry and eleven years as a civilian in the Quartermaster Department, Adam Neder’s body was eventually returned to the United States where he was buried on 1 November 1911 at the San Francisco National Cemetery. 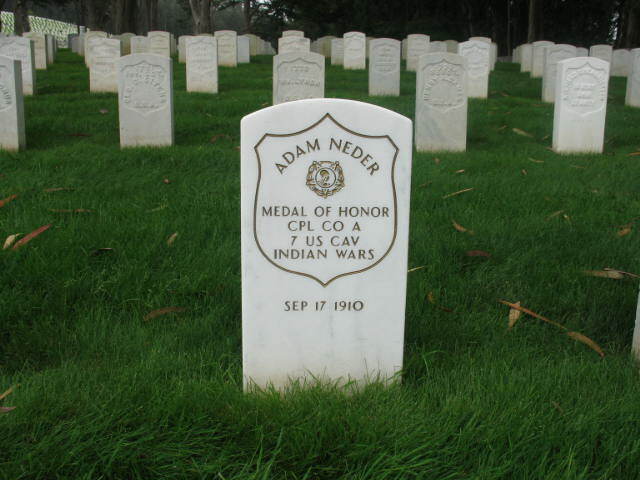 Native German Adam Neder is buried in the San Francisco National Cemetery. Adjutant General’s Office, Medal of Honor file for Marvin C. Hillock, Principal Record Division, file 3466, Record Group: 94, Stack area: 8W3, Row: 7, Compartment 30, Shelf: 2. Research conducted by Vonnie S. Zullo of The Horse Soldier Research Service. United States Congress, 66th Congress, 1st Session, May 19 – November 19, 1919, Senate Documents, Volume 14, (Washington: Government Printing Office, 1919), 455-456. Ancestry.com,U.S. 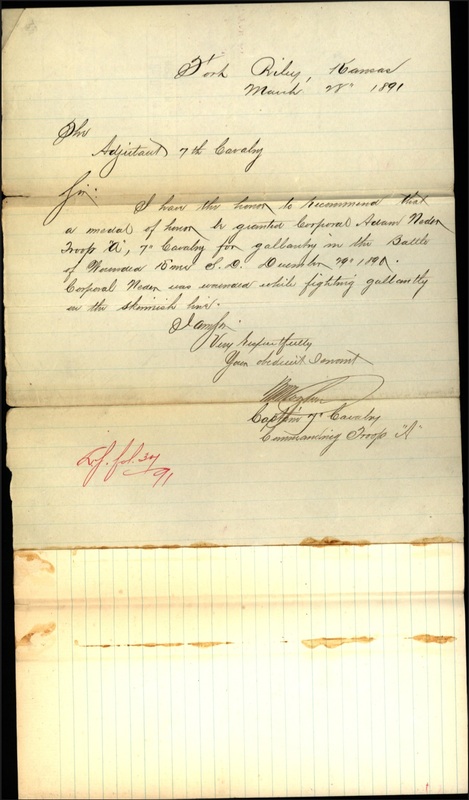 Army, Register of Enlistments, 1798-1914 [database on-line], Provo, UT, USA: Ancestry.com Operations Inc, 2007, Original data: Register of Enlistments in the U.S. Army, 1798-1914, (National Archives Microfilm Publication M233, 81 rolls), Records of the Adjutant General’s Office, 1780’s-1917, Record Group 94; National Archives, Washington, D.C. The Kinsley Graphic., (Kinsley, Kan.), July 28, 1893, page 1. The National Archives at Kansas City, Kansas City, Missouri, Naturalization Index for the Western District of Missouri, compiled 1930 – 1950, documenting the period ca. 1848 – ca. 1950, Record Group Title: Records of the District Courts of the United States, Record Group Number: RG 21; U.S. Army, Register of Enlistments, 1798-1914. National Archives and Records Administration (NARA), Washington, D.C.; Returns from Regular Army Infantry Regiments, June 1821 – December 1916, Microfilm Serial: M665; Roll: 9. 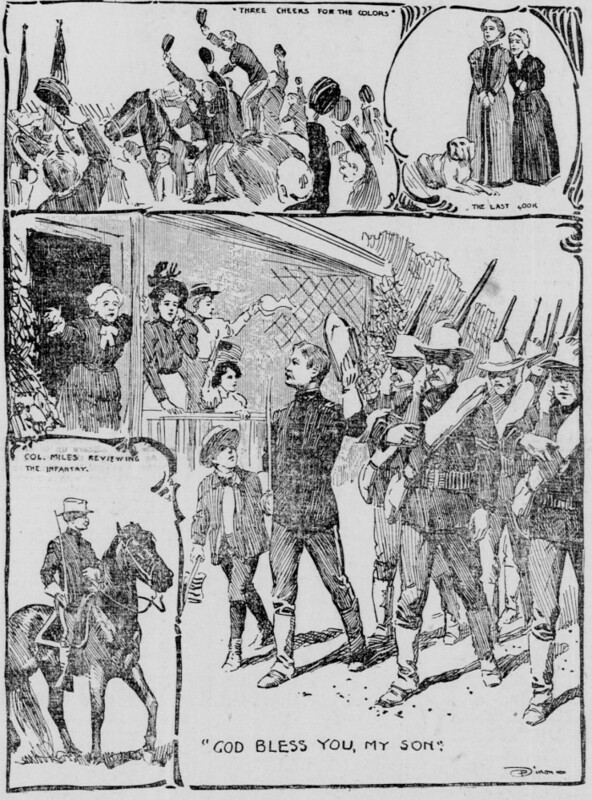 Associated Press, “Flowers and Cheers Mark the Soldiers’ Farewell,” San Francisco Call, (Vol. 83, No. 142), 21 April 1898, pages 3-4. Bismarck Daily Tribune, (Bismarck, N. D.), November 11, 1910, page 5. National Cemetery Administration, U.S. Veterans Gravesites, ca.1775-2006 [database on-line]., Provo, UT, USA: Ancestry.com Operations Inc, 2006, Original data: National Cemetery Administration. Nationwide Gravesite Locator. George Bacon, photo., “Adam Neder,” FindAGrave, http://www.findagrave.com/cgi-bin/fg.cgi?page=gr&GRid=3537123 accessed 8 Oct 2013. 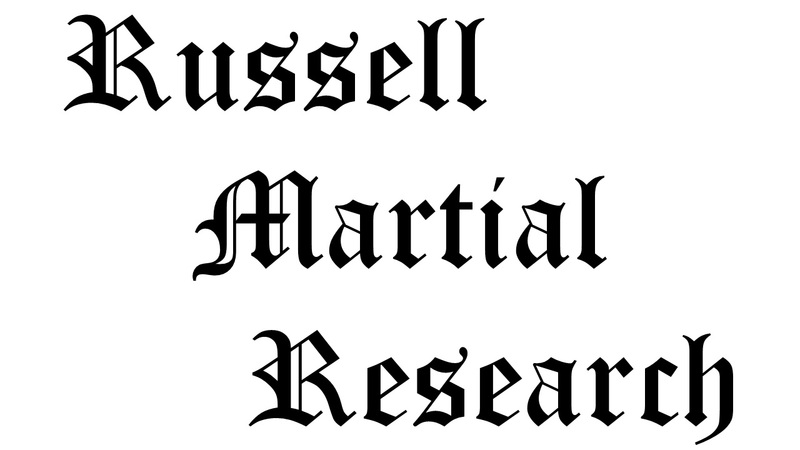 Citation for this article: Samuel L. Russell, “Private Adam Neder, A Troop, 7th Cavalry – Distinguished Bravery,” Army at Wounded Knee (Sumter, SC: Russell Martial Research, 2013-2015, http://wp.me/p3NoJy-bK), updated 1 Mar 2015, accessed date __________. This entry was posted in Award Recipients, Enlisted and tagged 7th Cavalry, 7th Cavalry Regiment (United States), Big Foot, Cavalry, Fort Riley, Lakota, Medal of Honor, Oglala Lakota, Pine Ridge, Pine Ridge Agency, Pine Ridge Indian Reservation, Sioux, Wounded Knee, Wounded Knee Creek, Wounded Knee Massacre. Bookmark the permalink. What a shame! The medals given to the soldiers at Wounded Knee massacre, bought at £ 12.000 . in U.K. Money on blood…..nothing else.